← … but what will I write? There is so much about this image that I love. 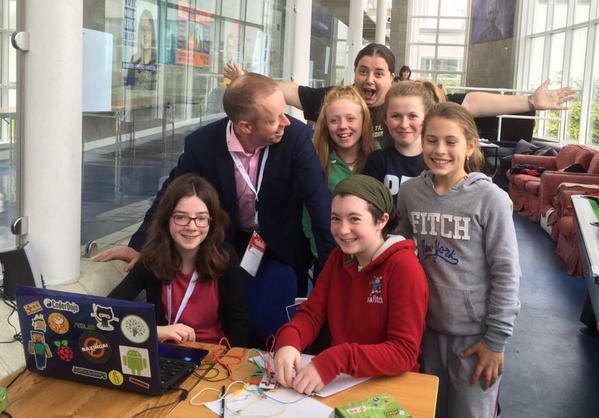 It was taken at the ICT in Education conference in April this year and it includes Ciaran Cannon TD and Bianca Ní Ghrógáin as well as my daughter and some of her friends. I’m using the image here with the kind permission of Ciaran. 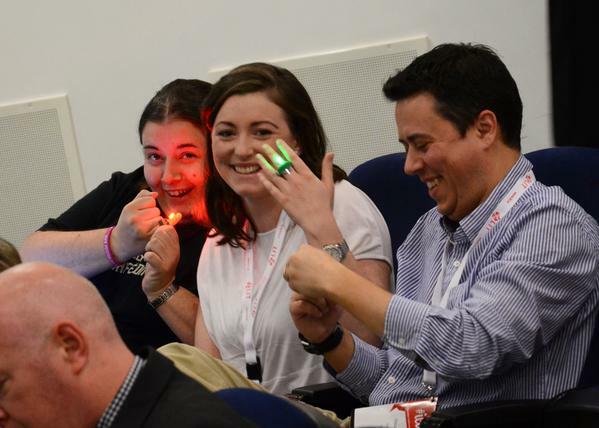 There are so many layers to this image that make it such a powerful one for me; the sheer joy that jumps out, the casual inclusion of technology and finally the bringing together of the powerful triumvirate of an inspiring, fire starter of an educator, a group of enthusiastic, inquisitive students and a member of parliament who is truly interested and passionate about the use of technology in education. What is most poignant about the image, is that since it was taken, we have lost the truly unique educator that Bianca was. On a personal level I’ve also lost a good friend, who along with others has shaped my ever evolving thinking on teaching and learning. This image perfectly captures Bianca’s style of leading from the back. She had a knack of not getting in the way of the learning that goes on. So many of us, myself included, can often fall into the trap of over directing how and when students learn. Having observed Bianca in many educational settings, from her own classroom, to CoderDojo sessions, to workshops at conferences among others, what always struck me was that she was prepared to take chances by not over prescribing how things were going to work. She trusted that learning would happen and she was willing to let it evolve with a carefully placed nudge here and there. On the day before the conference in April, Bianca and Susan Nic Reamoinn did a workshop with the girls using technology such as BeeBots, Kano and Makey Makey. These were technologies that the girls hadn’t used before, and yet by the following day the girls were happily demonstrating what they’d learned with a confidence that didn’t even hint at the very short length of time that they had actually used them for. I’m going to cheat a little by using a second image in this post. 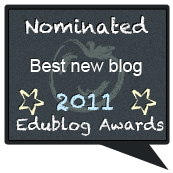 This entry was posted in Conferences, Musings and tagged #blimage, #challenge. Bookmark the permalink.